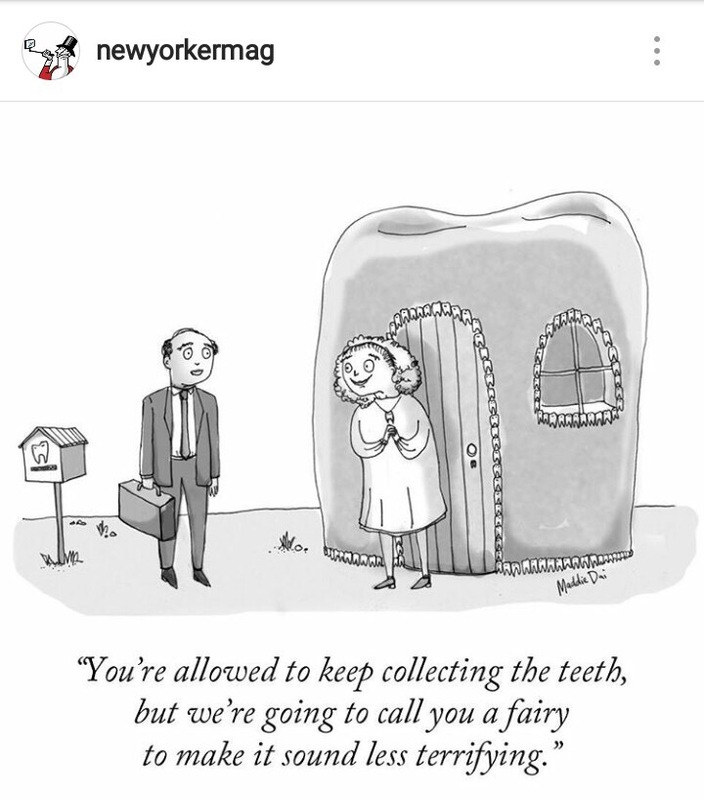 My 6yo was at the dentist, and naturally, he got asked about the tooth fairy. “The tooth fairy doesn’t come to our house.” – his matter-of-fact reply. The dental hygienist cast me an inquiring glance – what kind of horrible parents are we, anyways? It’s not our fault, though. Really. When he was 4, my son rejected the tooth fairy. Even if it was only pretend. Even if it meant he would miss out on special surprises. It didn’t matter to him. He wanted to throw those bothersome old teeth away and had no use for the tooth fairy. The same was/is true of Santa. Every December, we lecture our children on how it’s not okay to tell other kids that Santa’s not real, and then we hold our breaths and hope there are no sobbing children in their wakes. He’s never accepted Santa, never been interested in him in the slightest. The concept of a stranger sneaking in to our home, even with good motives, is disquieting, at the very least. Where is this coming from? Anxiety? A deeper understanding of the world and of cause & effect? In Sunday School and reading Bible stories at home, our little guy, even at 3 or 4, was bothered by the death and violence in these commonplace stories. I’m talking David & Goliath, Noah & the Ark, Samson. His empathy can be off the charts (thanks, overexcitabilities! ), so these stories really bothered him. I used to think that it was related to overthinking, but recently it’s becoming clearer that his unwillingness to approach these subjects is actually much more closely related to Emotional Overexcitabilities (OEs). He feels things so deeply that things which would, for others, be joyful, end up being excruciatingly overstimulating. The tooth fairy isn’t fun. She’s terrifying in the anticipation of when/what/how much. Birthdays are tough, too. There’s all the build-up, the expectations ahead of time that will be impossible to meet. The self-awareness of it being your birthday and therefore not someone else’s, the stress that comes with being the center of attention. Our kids are built this way. They’re not broken. They’re intensely feeling, hyper aware, amazing people who get crazy amounts of joy out of little things. If we know that someone has a small appetite, we don’t try to shove a huge piece of cake in front of them. Instead, we honor their preferences and provide the size of slice they most likely will enjoy. The same should be true of our kids. Instead of forcing them to be “normal” and to conform to society’s expectations, we release them from huge burdens of anxiety when we give them the freedom to tell us what portion size they can handle and then work to accommodate those needs. When they’re ready, they’ll ask for more. In fact, my 6yo was just pretending this week to be the “tooth fairy” for his little sisters. Someday soon, we may actually get a visit. This post has been part of Hoagies’ Gifted Education Page’s Blog hop. Click on over to check out some helpful perspectives from all over the world. Thank you for sharing your stories — our family can completely relate to several of them. I love your cake explanation, too. Great post! So sweet! These are great examples. Thank you.